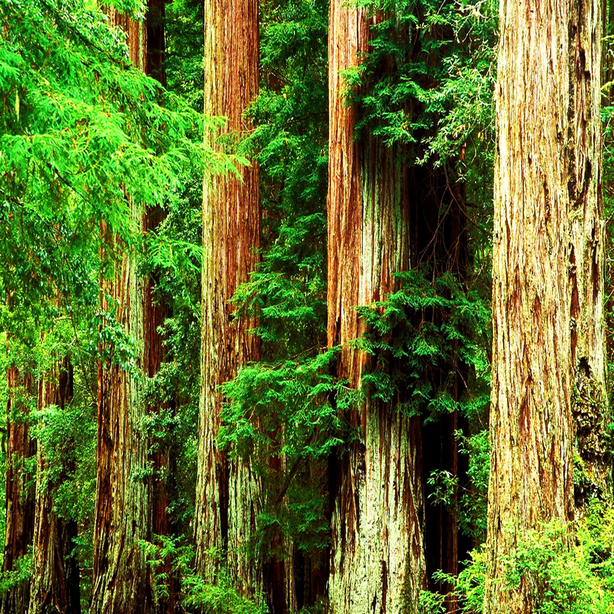 Davey Gagne' was born on September 15th, 1961 in France, but was raised in Tumwater and Olympia Washington. Davey grew up around tools, crafts, and construction since the age 13. With the love of creativity, Davey became familiar with cabinet making, stained glass, and much more, which started him into construction, building custom homes. In his early 20's Davey found a wild side involving rodeo and bull riding, which lasted several years, but with getting older, the bull riding came to an abrupt end. Davey continued to build homes after he left the Rodeo scene, and 20 years later, still missing the desire to compete, Davey found a new love; the art of chainsaw sculpture, which also involved competition. 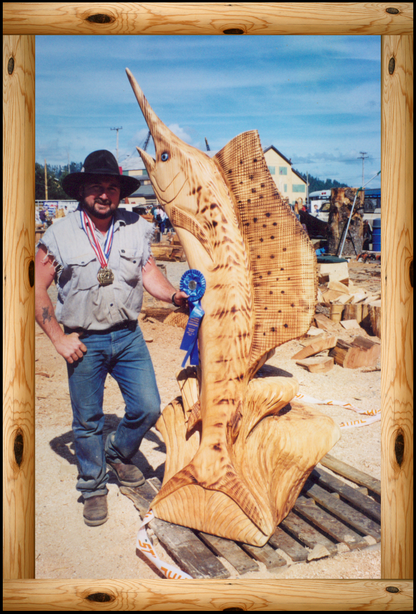 A little hesitant, Davey jumped in with both feet as always, and low and behold, 10 years later, Davey: a self taught carver, has become an accomplished chainsaw artist, winning several awards and placing in many competitions all over the northwest. Some of these include; Reedsport, OR, and Westport, Ocean Shores, Sequim, and Sedro Woolley, WA. He has also been seen on T.V in Düsseldorf, Germany. Davey has also done charity work for the following organizations: Providence St. Peter Foundation, Make a Wish Foundation, Entertainment Explosion for Homeless Children, and Susan G. Komen Breast Cancer Awareness Foundation. Davey has also done commissioned work for Little Creek Casino, and Olympia High School. After saying all of that, Davey would like to share with you some of his past creations, which also can be ordered and purchased from his website. Davey also does: stumps jobs, custom orders, signs, rustic and log furniture, and fireplace mantles. Direct contact is preferred due to the lack of time behind the computer. Davey also still builds homes during the day so please be patient for a response. We always appreciate your business. and an appointment can be made to see the shop.